​Heat the oven (with the oven rack in the middle) to 425°F. 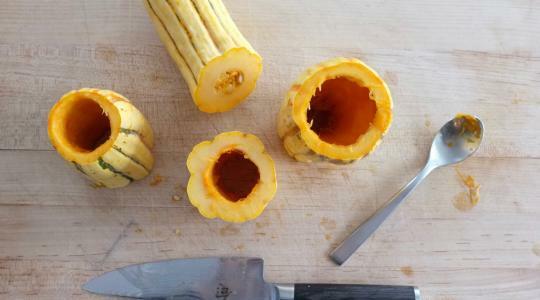 Cut the squash(es) in half crosswise. Scoop out the seeds. 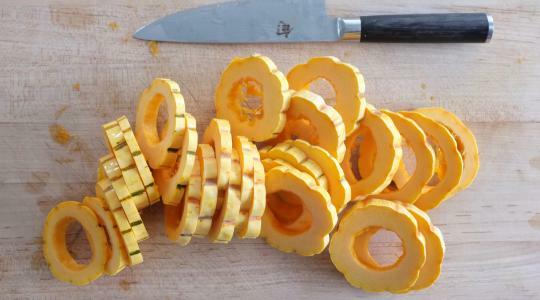 Cut the squash into rings about ¼ inch thick. Put on a rimmed sheet pan. Drizzle with the oil. 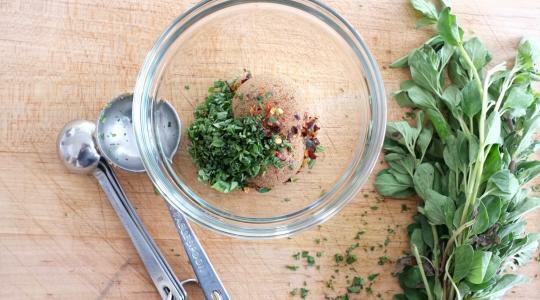 In a small bowl, combine the brown sugar, oregano, red pepper flakes, and salt. 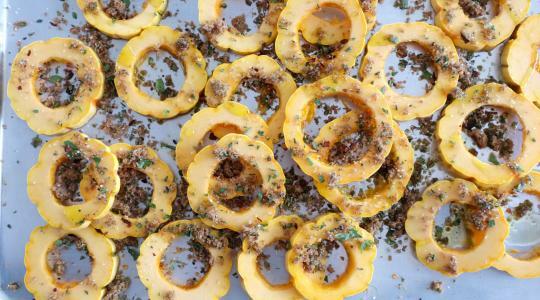 Sprinkle over the squash and toss to coat. 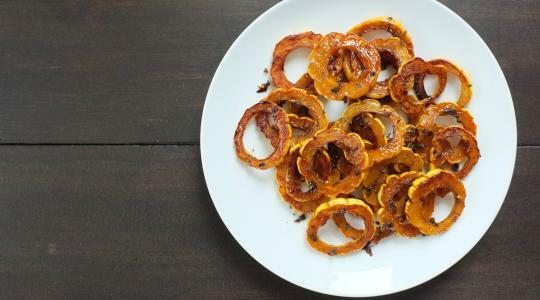 Roast, without stirring, until tender and the undersides of the rings are caramelized, 25 to 30 minutes. 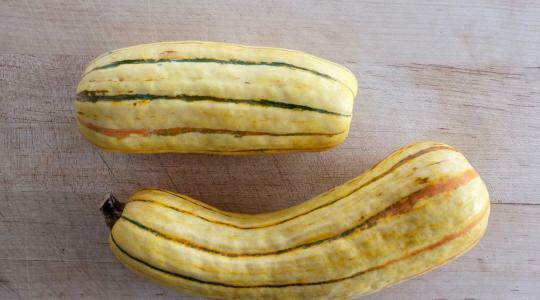 Serve the squash, caramelized sides up.